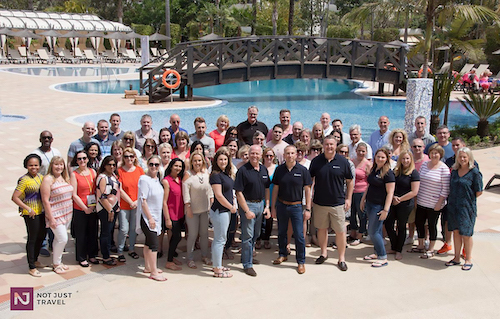 Another busy week at The Travel Franchise…find out why! January was our busiest ever month, but our Travel Consultants are already reporting a booming start to February. We’ve seen the payday period following ‘Blue Monday’ our busiest on record, that was on top of a record-breaking January. Florida and cruising among our biggest sellers, but traditional favourites such as Spain have seen rises of over 80% in sales, South America up 126%, Sri Lanka up 150% and Turkey sales up a massive 148%. The success of our franchisee’s at The Travel Franchise has been noticed by the national press. They featured our record-breaking month and the success of our home-based Travel Consultants. In particular, Travel Weekly talked about how the fears and uncertainty of Brexit have not done anything to slow holiday sales, in fact, quite the opposite as our sales continue to rise. Want to find out more about The Travel Franchise and how you can join the success? Access our free ‘Discovery Site’ now for over 80 videos packed full of news, views, and information to help you learn more about this multi award-winning business. Our new Direct Debit facility is available to all of our new Travel Consultants (franchisees) as standard. Not Just Travel (our travel agency brand) has been shortlisted as one of the best travel agencies in the British Isles. From more than 500 travel agencies who were nominated for the TTG’s Top 50 Travel Agencies 2019, we are proud to announce we have been shortlisted to the top 5. This week, Paul and Steve (our Co-Founders) were interviewed by a panel of judges ahead of the awards in April. Clearly, to be in the top 5 is an honour in itself, we look forward to finding out if we win. This week we’ve been helping our franchisee’s by paying their special bonuses on their bookings. In fact up to £100 extra for every booking. All throughout January and February, we have bonus incentives being paid to our Travel Consultants. This week our incentives have focused on Cruise and Ski bookings. Each incentive is unique to The Travel Franchise and funded by us which means these are above and beyond any additional incentives being paid by tour operators and trade partners. All this means you can be earning £100’s of commissions and bonuses on every single booking you make.